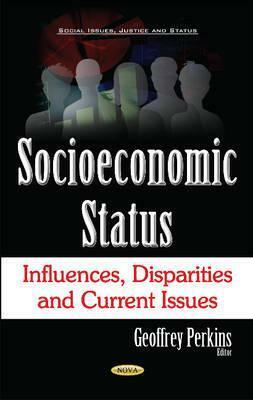 This book provides research on the influences, disparities and current issues of socioeconomic status (SES). Chapter One discusses socio-economic status, inequality and academic achievement. Chapter Two reviews literature on socioeconomic variables that predict a child's executive functioning and possible contextual and cognitive variables mediating this association. Chapter Three examines socioeconomic and racial disparities in child health and health outcomes. Chapter Four analyses attitudes toward poverty and the government safety net programs in relationship to income and party affiliation, and investigates theories to better understand the polarised attitudes toward socioeconomic status, inequality and poverty in America. Chapter Five provides a review of three different studies which underpin the proposal of the benefits and pitfalls of high SES. Chapter Six reports the findings of two questionnaire surveys focusing on the effects of socioeconomic status and trait self-control on seeking relationships.